Are you struggling with applications of fast moving parts and cameras set at short exposure times? 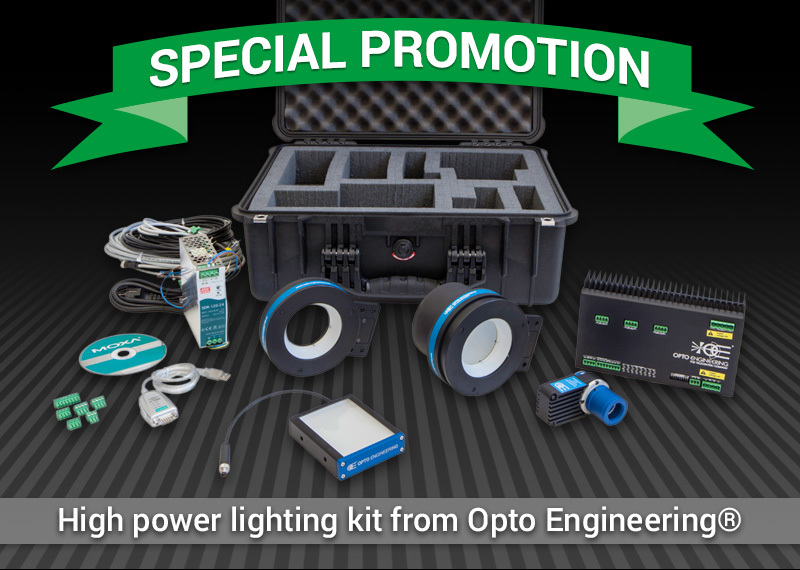 Simply light up your vision system with Opto Engineering strobe lights and take advantage of our high power lighting kit available at a SPECIAL PROMOTIONAL PRICE until February 28th 2018. LTPKIT kit case is the perfect tool for OEMs and system integrators that are frequently dealing with new machine vision applications requiring high power lights. The case includes a selection of commonly used LED illuminators designed to work in overdrive mode, a powerful pattern projector and our unique 6 CHANNELS lighting controller for easy control and synchronization of the lights with your cameras and trigger sources. LTPKIT is the perfect tool, do not miss the chance to equip your machine vision laboratory with high power lights at a very special price!